Women make up over half of all students attending colleges and universities in the United States, yet the debate still rages over gender equity. For hundreds of years higher education was the exclusive province of white males, leaving women excluded from the hall of learning. Though the numbers have balanced out over the years there remains areas of education and industry where women remain underrepresented. When you combine the already existing gender inequalities with other minority factors you begin to have sub-groups of women with a compounded need for scholarship support. For these reasons scholarships remain a major source of financial aid for all kinds of women. Freshman, undergraduate and post graduate female students can all benefit from scholarship aid when pursuing their quest for a higher education. Like other minorities women have been and still are underrepresented in fields related to the sciences, technology, engineering and math, sometimes simply called the STEM subjects. Many college and university departments relative to the STEM fields offer scholarships to attract women and minorities. Professional member-based organizations, like the Society of Women Engineers make it part of their mission to advocate for female students. SWE offers a number of annual scholarships for qualified women pursuing degrees in engineering. Many colleges and universities offer merit based scholarship programs of their own, specifically designed to benefit women entering or returning to college. Most of these are decided on your ACT or SAT scores as well as your class ranking. Be sure to investigate the scholarship options for women available at the universities and colleges to which you are already applying. Some schools will also have women's resource centers that offer scholarships based on merit as well as need. The Jeanette Rankin Foundation Scholarship Program awards scholarships to single women 35 and over looking to return to school to earn a degree. Divorcees and single mothers can benefit from the Jeanette Rankin Foundations annual scholarship program. The R.O.S.E. Fund provides financial assistance to women survivors of domestic abuse who are trying to better their lives by attending university or college. 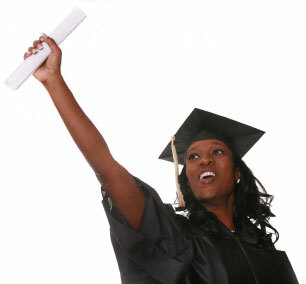 Minority women students can face even greater challenges to their college careers. But there are a great many scholarships programs designed to benefit minority women in particular. Women with interests in the STEM subjects are at a great advantage when it comes to scholarships. Many companies and institutions are looking to diversify their workplaces. They offer a number of lucrative scholarships for minority women with a desire to enter a career in the fields of science and technology. The AGI Minority Participation Program provides annual scholarships and grants to assist minority students attend college or university to further their studies in the geo-science fields. The Development Fund for Black Students in Science and Technology, or DFBSST offers scholarships to African American students enrolled in scientific or technical fields of study at one of the 105 accredited Historically Black Universities. Traditionally collegiate and career tracks for women have been in nursing and teaching. While many scholarships are targeted towards women who want to enter the career fields of science and technology, nursing and teaching scholarships remain plentiful. These scholarships have the added benefit of being in fields where there is a constant need for qualified professionals to join the workforce. Two of the best sources of grants and scholarships for teachers is your State and Federal government. The Pell Grant provides low income and at risk women the opportunity to pursue their college education with an eye toward a career in teaching. Health Resources and Services Administration or HRSA, is a government organization that provides grants and scholarships to women who wish to take up a career in nursing and medicine. The HRSA also offers a Nursing Loan Repayment Program that helps graduating registered nurses and nurse practitioners repay a percentage of their college loans. You can also find women's scholarships by communicating with women's organizations and associations in your community and in your state. They will often have financial aid opportunities that are not as well publicized as nationally awarded scholarships.